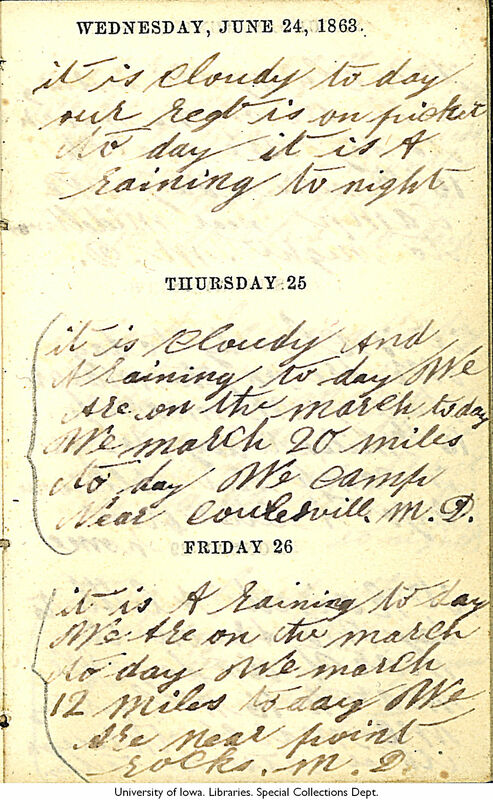 WEDNESDAY, JUNE 24, 1863. it is Cloudy to day our regt is on picket to day it is A raining to night THURSDAY 25 it is Cloudy And A raining to day We Are on the march to day We march 20 miles to day We Camp Near Coulesvill. M.D. FRIDAY 26 it is A raining to day We Are on the march to day We march 12 miles to day We Are near point rocks. M.D.